← Curiosity update: Third time’s a charm? 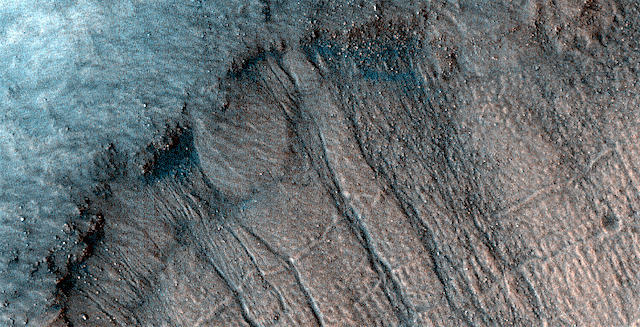 Gullies in a crater in Acidalia Planitia. The objective of this observation is to examine gullies on the north wall of a crater. The slope looks quite steep and the gullies are fairly straight. This entry was posted in Reports and tagged Acidalia Planitia, Beautiful Mars, fluvial processes, gullies, High Resolution Imaging Science Experiment, HiRISE, linear gullies, Mars Reconnaissance Orbiter, mass wasting, MRO, NASA, University of Arizona. Bookmark the permalink.